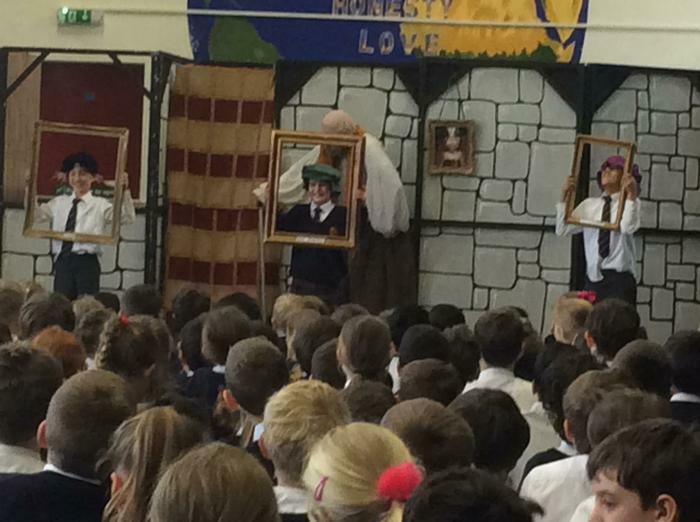 On Thursday, 29 March, the last morning of term, we were delighted to welcome back the popular Onatti French Theatre Company with their production of ‘Le Château’, an interactive play telling the story of Henry VIII’s quest for a French wife. Le Château’ was perfectly pitched for all year groups and the children’s laughter echoed throughout the school. 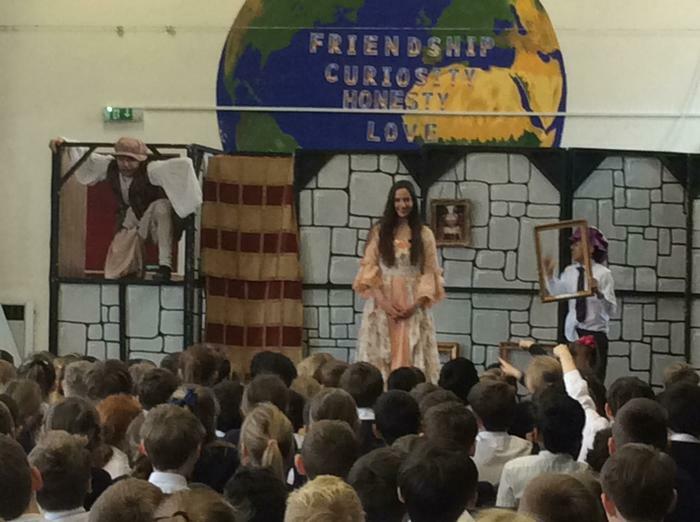 Thank you to the PTA for funding this performance. C’était fantastique et très amusant!